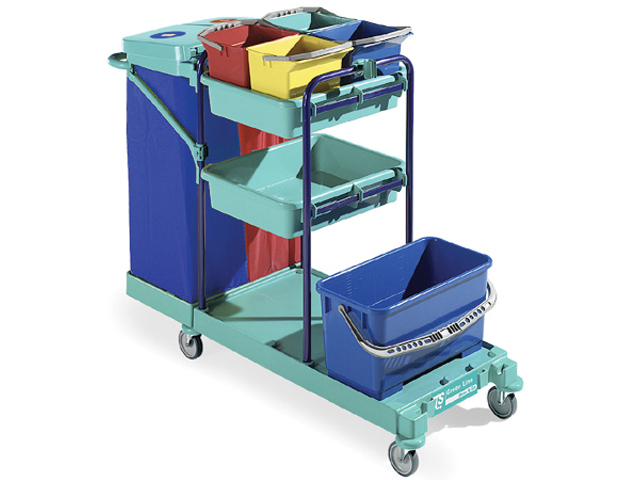 * Stainless modular and multi-use trolley. * Rilsan structure, available also in blue varnished colour. 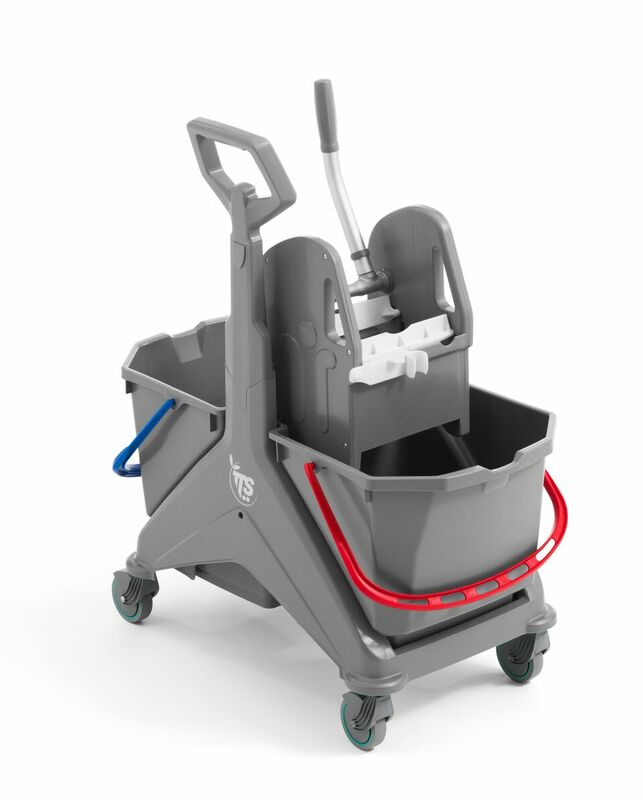 * Small base with Ø 100 mm wheels, 120 l. foldable plastic bag holder, handle holder, two 12 l. buckets, two central basins, Tec wringer, two 15 l. buckets. 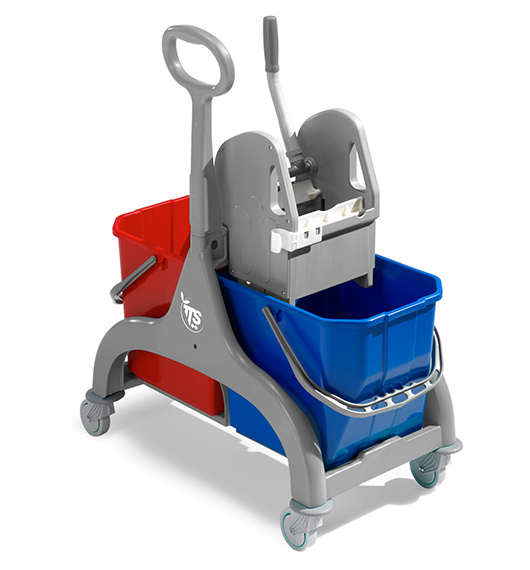 * Suitable for waste collection and trasport of products and tools to clean environments. 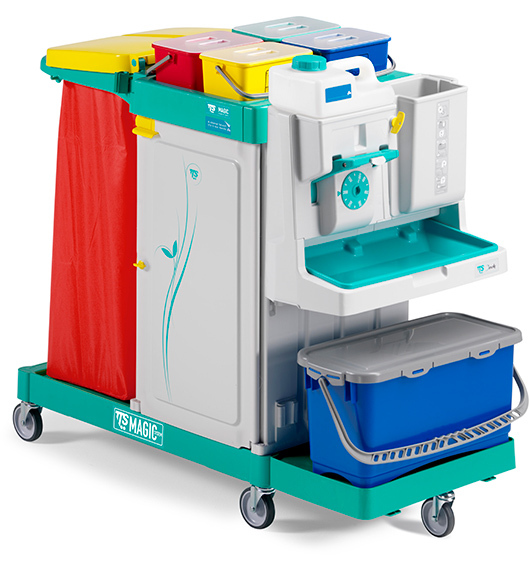 Magic is the first multi-purpose line of trolleys completely made of polypropylene. ·Hygienic, panels neatly separate the recycling section from the storage and cleaning one. Easy to clean thanks to round surfaces, first-quality plastic, completely smooth and covered. 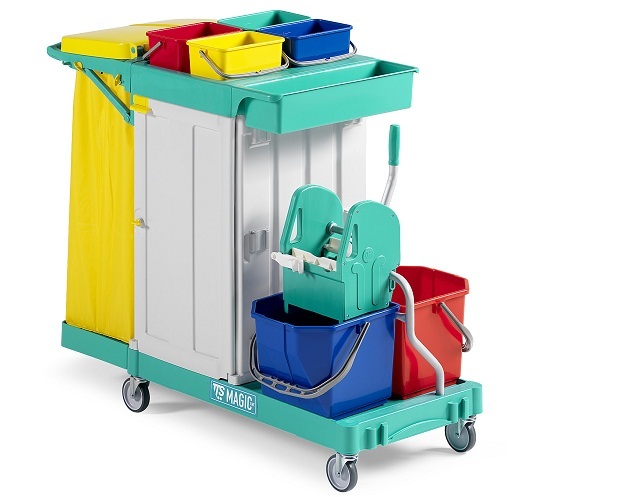 • Completely made up of plastic, it is an elegant and compact trolley. 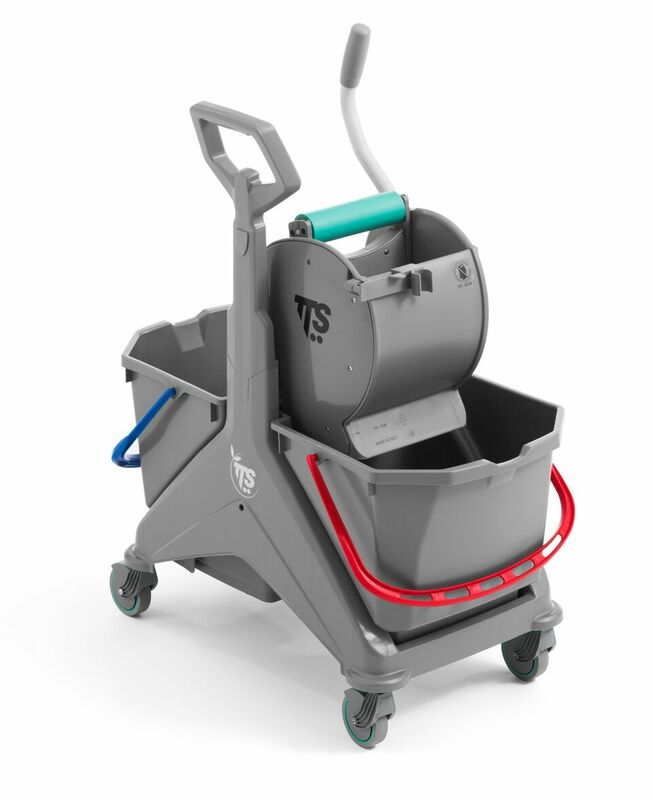 • A TEC wringer, Ø 80 mm wheels with bumpers, two 15 L. buckets and some space behind to carry bottles of chemical solution and various tools complete an item expressly studied for floor washing and recommended for small rooms. • The structure is availlable in yellow, green and grey. 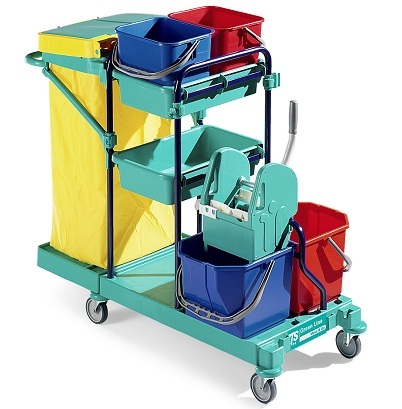 Double bucket compact trolley completly made of plastic.